When do you need to up-grade your meter can? 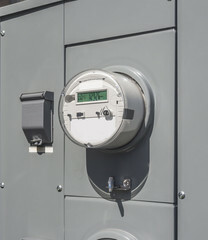 After several years of exposure to our South Florida’s weather, continuous use, and the constant addition of appliances and other various loads, there comes a time for a meter can upgrade and electrical service wire up-grade to properly handle these extra loads. Having these up-grades can save you thousands of dollars in damages and prevent an electrical fires. perform a safety check and complete the needed repairs? We also offer fast meter can repair service for loose, corroded, burnt or damaged meter can sockets and internal parts.